beauty in real life...: eos hand lotion giveaway extravaganza! eos hand lotion giveaway extravaganza! I've become positively OBSESSED with hand lotions as of late. I keep one in my bag and usually one in the car. Just in case a "dry hands emergency" occurs. 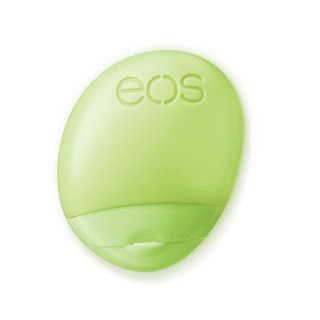 Well, lucky for everyone EOS just launched a brand new pod-shaped (re: funky as all get out), pocket-size Hand Lotion! It's available in two scents, Everyday and Everyday in Cucumber. They're, paraben-free, hypoallergenic, dermatologist tested, and contain ingredients like aloe, oat, shea butter, and Vitamins C & E.
How does that make you lucky too? Well EOS is giving away 20,000 free hand lotions to celebrate the launch. From April 4th till May 2nd, EOS will be giving away 20,000 full size samples of their new Hand Lotions to 5,000 people each week who "LIKE" their Facebook fan page! Head on over to facebook.com/eos right now! !